Last chance to be a zombie in Zombies Ate My City! 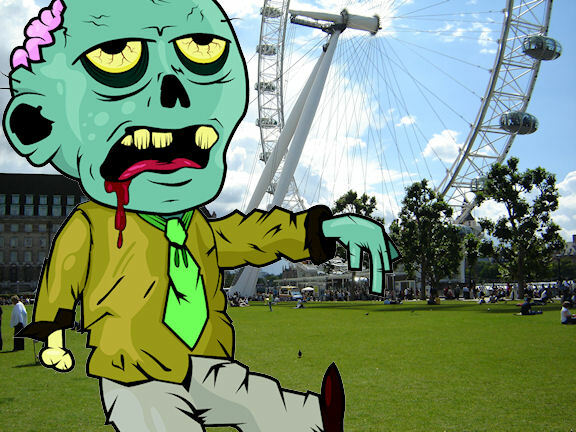 Tomorrow morning, we’re shooting the video sequences for Zombies Ate My City in London! We’d love, love, love you to be part of the app! Zombies Ate My City is a forthcoming location based game, allowing users to defend their own city from an onslaught of zombies using real life locations. Players complete missions, gather weapons and collect extra points in hidden locations around their own cities and towns. 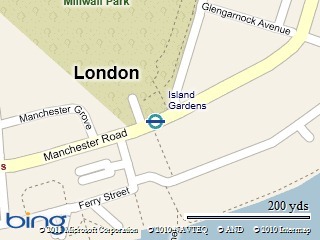 We’ll be filming some funny clips with Windows Phone fans tomorrow morning on the Isle of Dogs between 11am and 2pm. We’re meeting outside the Island Gardens station on the Isle of Dogs tube station at 10:45am. If you fill out this application form, we can keep in touch tomorrow if we need to, but otherwise feel free to just show up! If you have costume, great, but if not, we have some spare costumes, wigs and make-up! We’ll be shooting all of the in-app clips on an HTC Titan, one of the latest Windows Phones. For those that show up, we’ll give you a credit in the app! We’ll also reward the best zombie-like outfit with 4200 Microsoft Points for you to spend on Zune or on Xbox Live and we may have a few other things to give away. For those that can make it, we look forward to seeing you tomorrow! We’ll have photos from the shoot next week!